CATCH OF THE DAY: Looks like Orphan Black's Vic is in a lot deeper than we all thought. So deep, in fact, that he's got Annie Walker on his tail. 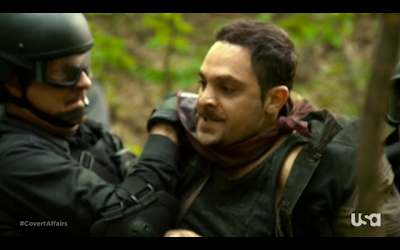 CATCH OF THE DAY: Maybe he was just in too much trouble with Pouchy, or he didn't want a lobster-claw, but it looks like our favorite Orphan Black drug dealer has escaped to the Colombian jungle in this episode of USA's Covert Affairs. 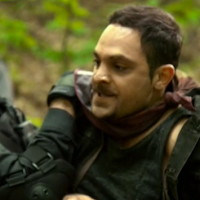 In their search to bust a suspected terrorist cell in episode 4x03 ("Into The White"), Annie Walker & Co. raid the Canadian Colombian woods and capture one of the rebels during the attack. We almost didn't recognize him without his beanie.